A Perth-based housebuilding firm has been awarded a Commendation in Scotland’s premier industry awards. A&J Stephen was one of only three firms to reach the shortlist of the ‘Private Development of the Year’ (medium: 26-99 units) category of the Homes for Scotland Awards 2016 for its contribution to the first phase at Scotland’s largest new town, Chapelton, just outside Aberdeen. The family firm, which dates back to 1935, is creating a wide selection of homes at Chapelton, ranging from two to six bedroom terraced, semi and detached villas, all designed to cater for today’s lifestyle choices. 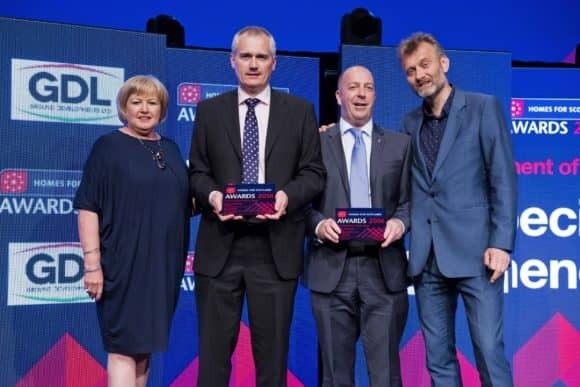 With a string of National House-Building Council (NHBC) ‘Pride in the Job’ awards cementing its reputation for quality housebuilding, Stephen is the name behind a host of prestigious and highly popular developments throughout Scotland, all chosen for their outstanding locations. For more information, visit www.stephen.co.uk or www.homesforscotland.com.